Do you believe? – Stones, and Tokens, and Hearts, Oh My! 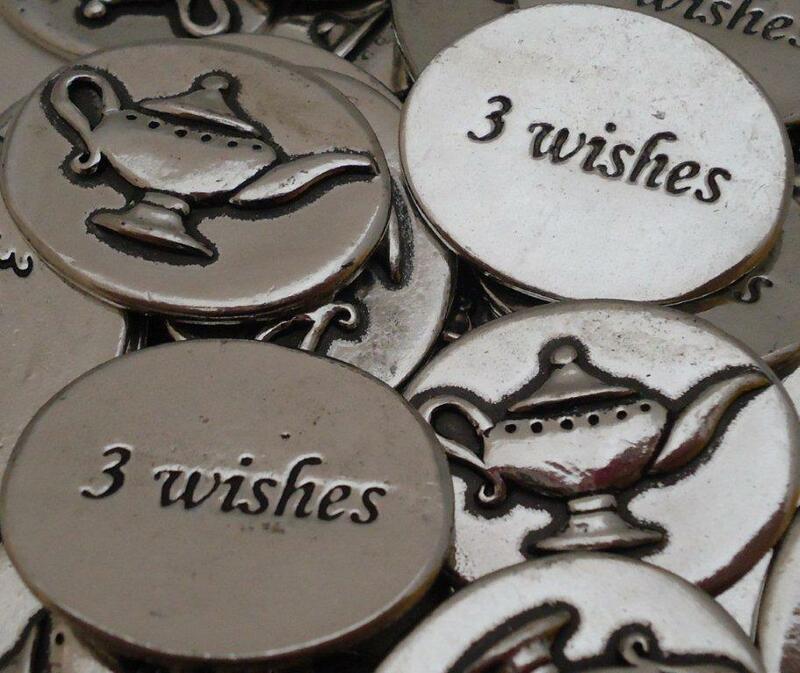 I recently received this inquiry from an eBay customer, regarding our Genie Lamp – 3 Wishes Inspiration Coin. I wonder what the note would say if he/she was being nasty and wasn’t being straight with me? Do any of our 5 negative feedbacks on EBAY in the last year have to do with wishes not coming true? While I am still not sure what the author of the note really was looking for in an answer to their query, I AM sure about the answer to question #4…a resounding “YES”! Let me come at you from a different angle on this one. While I know that a Genie is not going to pop out of the lamp pictured on this coin, I do like to think that making a few wishes can brighten someone’s day. The Lighthouse/Shine coin may not actually help you win the upcoming football game, but it will probably boost your confidence. When you are struggling to maintain yourself in the face of a hard situation just the words “Take a Deep Breath” on a token might give you a moment of peace. That is what CourageInStone.com and our products are all about – making life just a little better for anyone who may need a pick me up. When we ship a large order of engraved “Hope” stones to a cancer fundraising event, I know that our rocks can’t cure cancer but do they give someone’s spirit a lift? I sure hope so. One of our most popular items is the Pewter Pocket Angel. The pocket card that can be purchased with them reads “An Angel for your pocket to remind you that you’re not alone.” Is there a real true angel in your pocket? No, but can a small token make you feel comfort in a time of need? You bet…and I love selling those tokens over and over again.